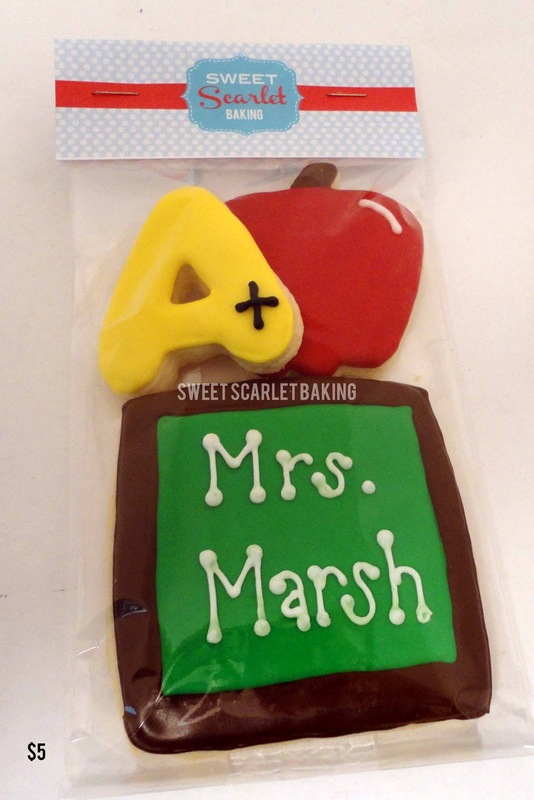 Sweet Scarlet Baking: Give the Teacher an A+! 3 each of an apple, school bus and chalkboard, along with the letters and numbers. 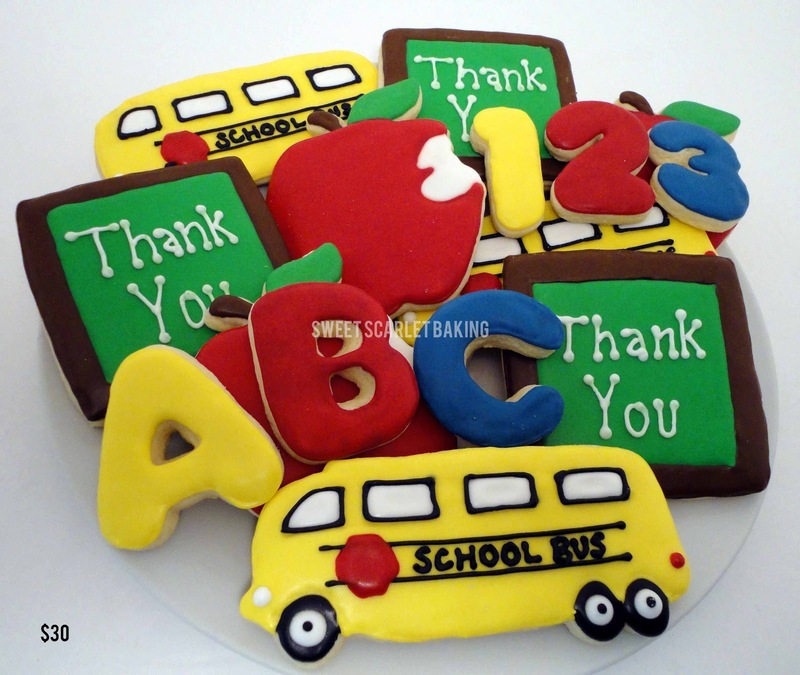 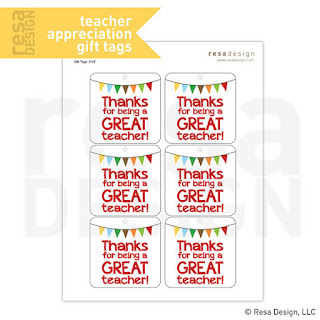 Show all your kids' teachers some appreciation for an A+ job this school year. 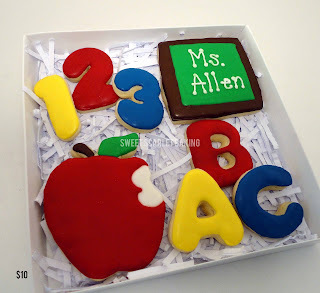 These cookies will be nut free, flavored with vanilla! 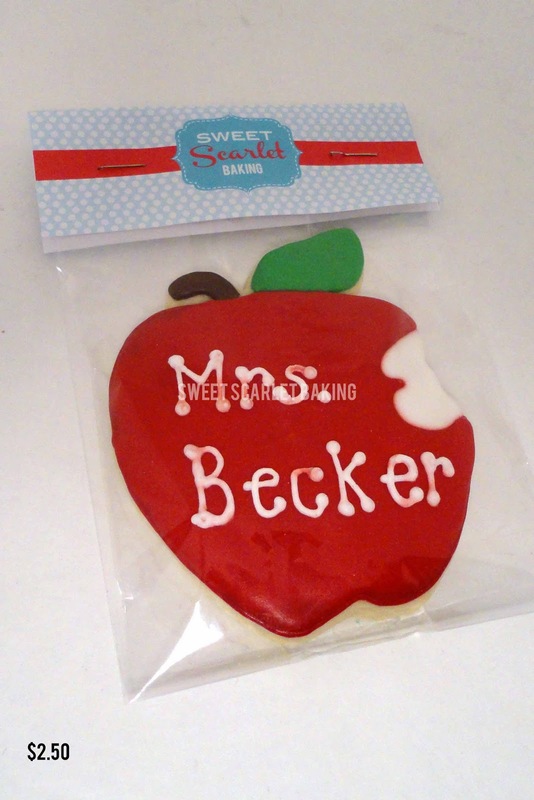 will be available for pick up on Sunday, May 19, 2013 after noon. 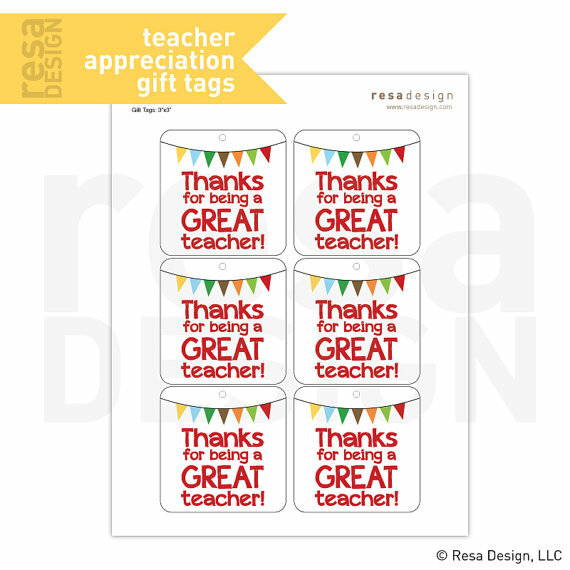 Add these gift tags from Resa Design LLC for the finishing touch! 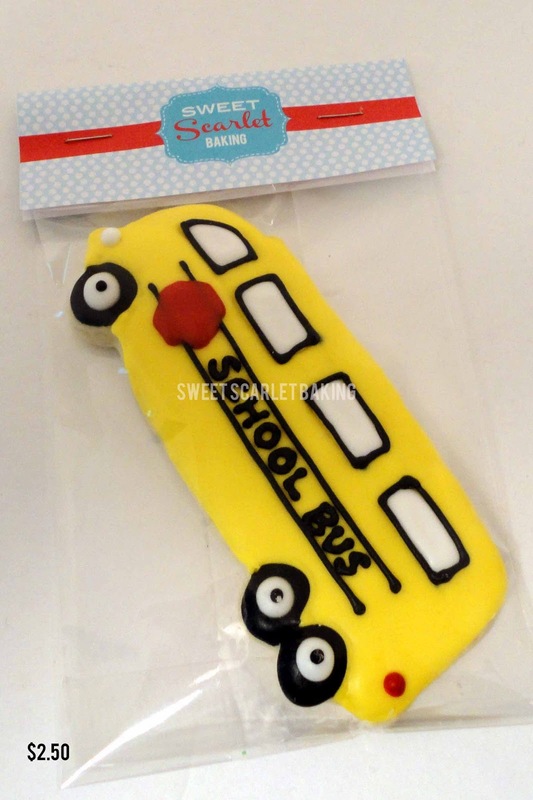 Only $2 on Etsy.